The market for urinary catheters has become extremely lucrative, with its market value somewhere around $230 million dollars according to the Millennium Research Group. And the demand isn’t slowing any time soon. With an aging group of Baby Boomers and Medicare acceptance of 200 catheters per month are likely the biggest reasons for the expansion. 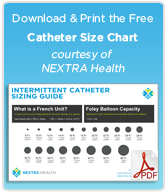 (Catheters are now indicated by Medicare for single use only, an effort to curb the costly instances of Catheter-Associated Urinary Tract Infections). Brands like Coloplast and their subsidiary Mentor-Coloplast have surged forward with a powerful presence in the Urology market, with products like the Mentor Self-Cath and others providing over 50% of the supply of Urinary Catheters to patients in the United States. Not far behind are Hollister, Bard, Astra Tech, Rochester and Rusch. The prevalence of urology in our everyday lives has extended out of the health care setting and into our living rooms, with companies advertising urinary catheters (namely, the Medicare catheter policy change). 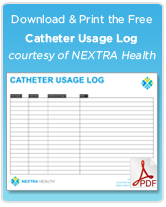 Many long-term catheter users are also still re-using their catheters by boiling them or cleaning them, a practice that has been encouraged by Medicare and various other entities for many years. It is only two years ago that Medicare changed their policy, so the potential for these companies only grows. Who would’ve thought such a simple device would become so prevalent in business and in the daily lives of millions of people?